The wonderful world of headlamp wipers! – HubNut – celebrating the average! The wonderful world of headlamp wipers! I’ve always been fascinated with wipers, regardless of where fitted. However, I reserve a special place in my heart for the diminutive headlamp wiper. During my childhood, it would absolutely make my day to see headlamp wipers in action. I still have a memory of a white Volvo 740 activating them outside a KFC in the mid-1980s. It was one of those typical 1980s cars where pretty much every detail was white. Headlamp wiper arms included. It’s perhaps not surprising that the Swedes seem to have led the way with headlamp wipers. In fact, headlamp wipers are 45 years old this year! 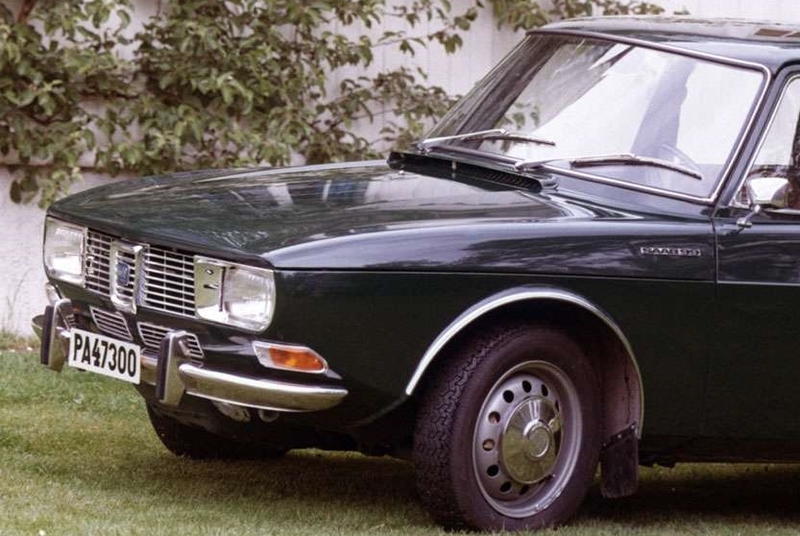 The Saab 99 first had them in 1970. They were wonderful too. I’m depressed to find that there is no online footage of them in action – they push out from the middle like little brooms. Naturally, Volvo felt it had to follow suit and for a time, there was a bit of a (wiper) arms race, with some incredibly elaborate systems appearing over the next couple of decades. Renault came up with a system that was very similar to that used on later Saab 99s, seen here on a Renault Fuego. Fabulous! BMW preferred circular headlights, so how do you make a wiper work on those? Easy! You must admit, this is exciting stuff. Surprisingly, it took a long time for me to own a car with headlamp wipers, the first being a Volvo 740GLE in 2007. However, it was a bit of a disaster. One headlamp wiper was missing, and the other didn’t work. It wasn’t until late 2009 that I tried again, this time with a Saab 900. One headlamp wiper worked, but it was a depressing state of affairs that the other didn’t. A few more years, and I would own a Saab 9000 and yes, both headlamp wipers worked! Being an incredibly sad type, I began to love following Vauxhalls in traffic jams. That was because I could alleviate the boredom by operating the headlamp wipers and watching them in the chrome strip that certain Vauxhalls have across their rumps. WONDERFUL. Incidentally, Rolls-Royce decided to be a bit different. They fitted headlamp brushes instead of wipers. I can’t say I find these as interesting. They’re not wipers. Jaguar rather made up for it with the elaborate system fitted to the XJ-S. Not content to just fit headlamp wipers, they fitted PANTOGRAPH headlamp wipers! Like those fitted to some buses and, notably, the rear wiper of a Porsche 928. 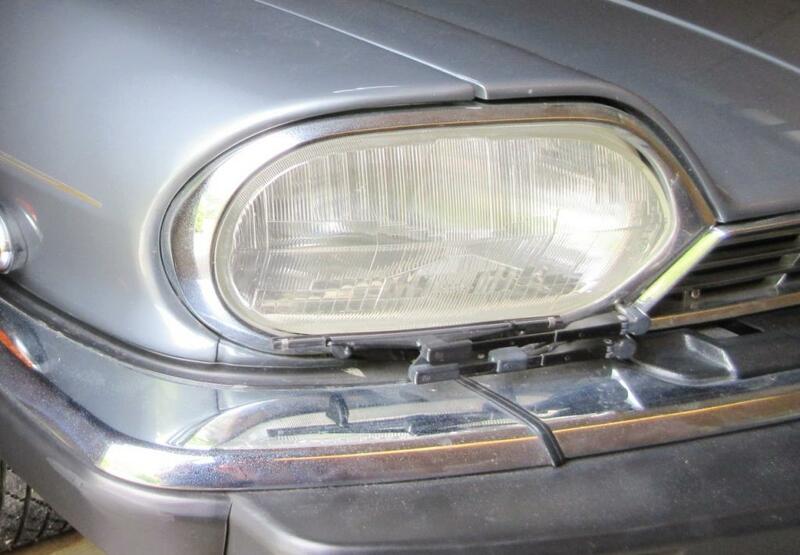 Jaguar’s XJ-S used a pantograph headlamp wiper. OOOOH! The two wiper arms ensure the blade moves perpendicularly up the headlamp. Magical. The 1980s really were a magical time for the wiping of headlamps. Ford and Vauxhall even got in on the act though despairingly, Ford only ever saw fit to equip the Sierra Mk2 with headlamp wipers – though I did once see a Scandinavian-market Capri fitted with them. YUM. Vauxhall went in for them in a bigger way, fitting them to posher Cavalier Mk2s and 3s, Carltons and the glorious Senator B. But the Vectra and Omega of the mid-1990s didn’t have them. The end was nigh. But why? How many of us have to battle the problem of dirty headlamps in the winter? 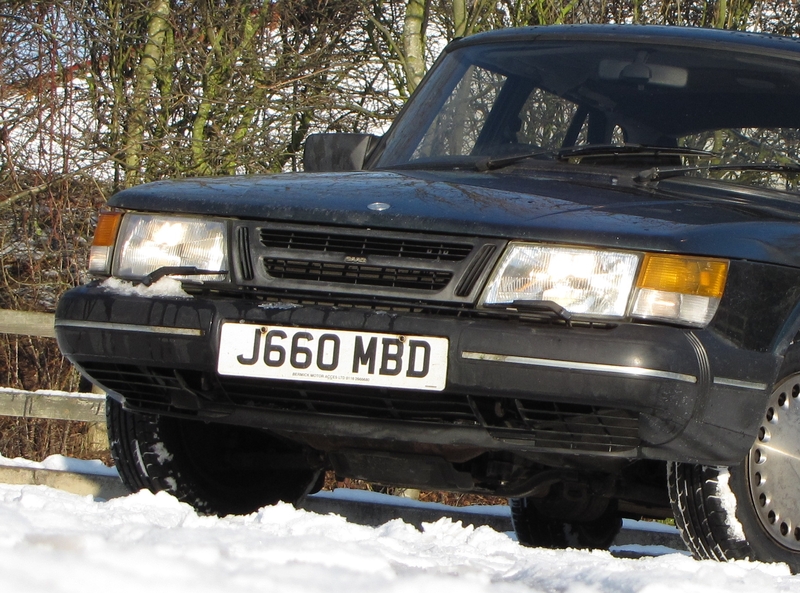 The Range Rover L322 was one of very few Noughties designs to feature headlamp wipers, but even that ditched them at the first facelift opportunity. How have we managed to lose such a practical and interesting (to me at least) design feature? Also, could I develop a system for the XM? The headlights need all the help they can get! One final video – the most recent car I owned with headlamp wipers, and the only one I got a video of! I’ve been thinking about this a bit this month – 100 miles of fast A roads a day, I’m cleaning my headlights more than ten times a week. Best I can hope for (I think) would be a washer jet. I’ve never had a car they actually worked on, cars included a saab 99, volvo 240, 340, E30 touring. The Saab 99 wipers look great though. Brilliant. I was mildly obsessed by these as a child in the 80’s (and still am tbh). Remember a friend’s Dad had a high spec Sierra with them. One of the many reasons I currently lust after a Senator!